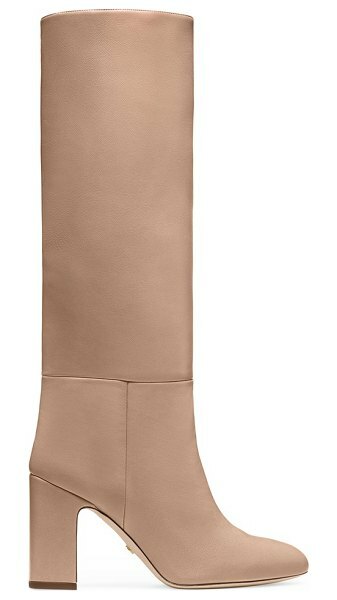 The Talina boots are an elegant to-the-knee style crafted in nappa leather with a wide, structured shaft. 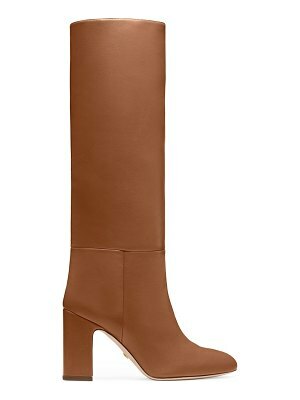 They feature a distinctly sculptural silhouette enhanced by a pointed toe and high block heel and are finished with a partial side zipper, which allows them to be slipped on and off with ease. Show yours off with a mini skirt or oversized oxford blouse and leather leggings.